Colombo once typified the graceful colonial capital of white pillars, grand boulevards and flourishing gardens - in the 19th century it was often referred to as ’the garden city of the East’. But in today's Colombo commerce has well and truly taken hold and the city has burgeoned and sprawled. Most visitors will seek out a bit of both worlds, enjoying the fun of its myriad of markets and appreciating the large scale restoration works going on around some of the most historic architecture, including the central fort complex. The best places to stay in Colombo will allow you to make the most of everything this fascinating city has to offer. The influx of people has lent the city a more cosmopolitan feel and the foodie and cultural scenes have benefitted. In addition to the restoration work, the city is making new seafront roads that are already sprouting hotels. 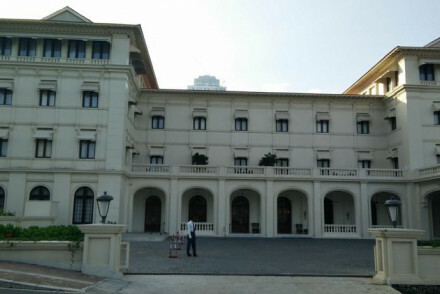 The National Museum of Sri Lanka is in a beautiful colonial building housing some of Sri Lanka’s greatest cultural treasures. There’s fine art, carvings and statuary, weapons from the colonial period and other interesting odds and ends. Incredible objects from the Ancient Cities, including a magnificent royal throne and an impressive 9th century Buddha who welcomes you at the entrance. Colombo’s Natural History Museum is also excellent - don’t overlook the impressive dioramas featuring the endemic flora and fauna. The Dutch Period Museum is also worth a visit. Converted from the 17th century residence of the Dutch governor, it is now packed with interesting artefacts telling to story of Sri Lanka under the Dutch. On your way to the ocean you’ll cross Galle Face Green which was cleared for the benefit of the Dutch cannons. Now it’s a great grassy expanse offering street food. Beyond is the Indian Ocean making this a very popular place for a stroll. At one end you’ll find Pelican Perches - which is no more or no less than what it sounds like - the place loads of pelicans choose to perch. Colombo’s zoo is known for the elephant show. And if you’re interested in meeting the local wildlife you might also want to visit eh Turtle Conservation Villa, which hatches, protects and releases endangered turtles. No one will want to miss the crazy commerce of the Federation of Self Employees Market on 5th Cross Street. Colombo Courtyard is a boutique hotel in the heart of town with a rooftop cafe with fantastic views that hosts open air jazz and cinema nights. There are 30 stylish rooms - some with four-poster beds - and a private courtyard. There’s also a spa. Paradise Road Tintagel has just ten suites, beautifully and classically designed, plus a well stocked library, a steam room and an adults only pool. There’s also a restaurant serving one of Colombo’s finest meals. The Galle Face Hotel is a classic colonial era hotel with elegant interiors and a private beach. It has an infinity pool and a spa, plus a well equipped gym. The hotel restaurant has long had an excellent reputation - good enough to run their own cookery classes. Intimate and unspoiled, Maniumpathy is an old family house tucked away in a smart and central neighbourhood. There are just eight suites. You are surrounded by a charming garden with a plunge pool. Residence, by Uga Escapes is an eleven bedroom mansion dating from the 18th century which has been converted into a boutique-style hotel. The mansion’s heritage features have been augmented with some contemporary twists. The rooms are large and offer private patios and large bathrooms in black marble. 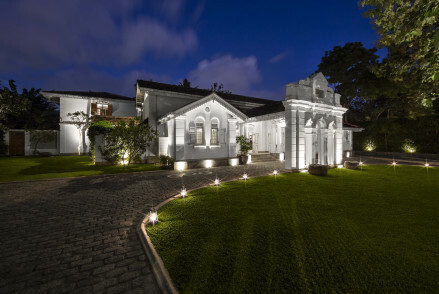 The Havelock Place Bungalow is a true home from home providing an alternative to Colombo’s five star hotels and offering just seven rooms with cosy quilted, striped wallpaper and carefully chosen furniture. The restaurant is very popular, so book in advance. You’re within walking distance of the Town Hall and Independence Square. Rooms start from around £70 per night. The Galle Face Hotel is a classic colonial era hotel with elegant interiors and a private beach. It has an infinity pool and spa, plus a well equipped gym. The hotel restaurant has long had an excellent reputation - good enough to run their own cookery classes. Paradise Road Tintagel has just ten suites beautifully and classically designed, plus a well stocked library, a steam room and an adults only pool. There is also a restaurant serving one of Colombo’s finest meals. Casa Colombo is a sleek, chic, lively creation with colourful rooms and shabby chic furnishings. There's a cocktail bar and an excellent Asian restaurant. The pool and deck are gorgeous. Residence, by Uga Escapes is an eleven bedroom mansion dating from the 18th century, which has been converted into a boutique-style hotel. The mansion’s heritage features have been augmented with some contemporary twists. The rooms are large and offer private patios and large bathrooms in black marble. 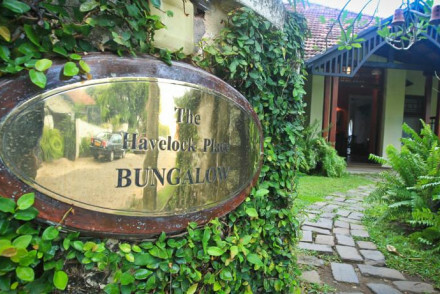 The Havelock Place Bungalow is a true home from home, providing an alternative to Colombo’s five star hotels and offering just seven rooms with cosy quilted, striped wallpaper and carefully chosen furniture. The restaurant is very popular, so book in advance, and you are within walking distance of the Town Hall and Independence Square. Rooms start from around £70 per night. 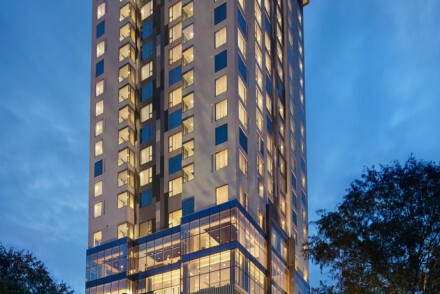 For around the same room rate you can stay in Cinnamon Red Colombo, a centrally located tower with 242 colourful rooms. The restaurant is very good, the atmosphere is youthful and you’re close to Viharamahadevi Park. The closest international airport to Colombo is Bandaranaike Airport, which is closer to Negombo than Colombo - it’s 30 to 60minutes drive depending on traffic, and there’s a bus you can catch between the airport and the Central Station which takes the same expressway route as cars do. Aside from the monsoon season, which runs between June and September, there’s really no bad time to visit Colombo. For the rest of the year the weather is relatively pleasant. Expand your search to include the best places to stay in Galle? Or the best places to stay in Bentota? A true home. 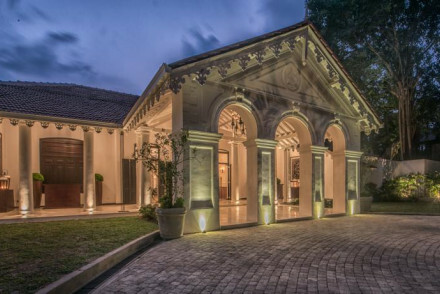 Havelock Place Bungalow provides an excellent alternative to the large, five star hotels Colombo has to offer. Rooms feature cosy comforting quilts, classic striped wallpaper and decorative quirks like whicker baskets for storage. The hotel's restaurant is very popular so book ahead! Sights nearby - Town Hall and Independence Square are within easy reach. Great walks - A walk along Colombo's long promenade. Local markets - Explore Colombo's Old Town. Centrally located with colourful interiors - add to this an attractive price and Cinnamon Red attracts a fun, young crowd. Rooms are decorated with splashes of the hotel's signature red and feature good sized modern bathrooms. Cuisine is top notch including adaptations of Sri Lankan dishes. Great walks - Nearby Viharamahadevi Park for a leisurely stroll. Boutique hotel in the heart of Colombo City, boasting a rooftop cafe with fantastic views. Rooms are stylishly modern and elegant with feature walls, some come with four posters and a private courtyard. The Scarlet room offers fusion cuisine & the Cloud Cafe hosts jazz & film nights under the stars. Spa - The Amber Spa offers a range of restorative treatments. Local markets - The open air Pettah Market is a vibrant visit. Sights nearby - A visit to the National Museum is a must. 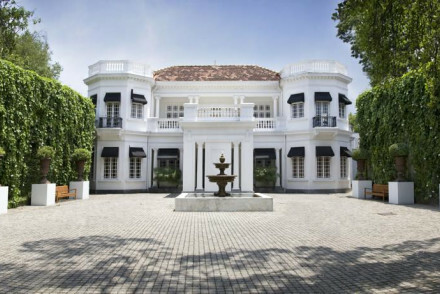 Classic colonial style the Galle Face Hotel boasts elegant interiors in muted palettes. There is an infinity pool overlooking the private beach area as well as an indulgent spa and well equipped gym. Dine at In... On The Green popular amongst locals. A great stay for couples and families. Cooking classes - Menaka Culinary Art Academy teaches guests the art of Sri Lankan flavours. Hint: it includes plenty of spice. Sights nearby - Take a tour of Colombo's attractions in the hotel's classic car. Set amidst luscious gardens this eleven bedroomed mansion, dating back to the 18th-century evokes both its rich heritage with some contemporary twists. Rooms are expansive, decorated in dark woods and rich red and gold accents. They feature private patios and large, black marble bathrooms. Divine. Great walks - Take a turn around nearby Viharamahadevi Park. 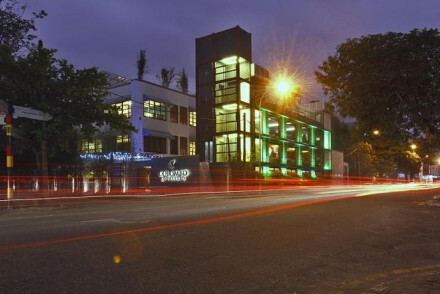 A sleek chic boutique, one of Colombo's trendiest and liveliest spots. Colourful rooms and suites have all the mod cons and shabby chic furnishings. Fantastic Asian cuisine, lively cocktail bar, spa, and gorgeous pool and deck area. City style at its best. A great choice for a hip couple or family. Foodies - Outstanding Asian restaurant. 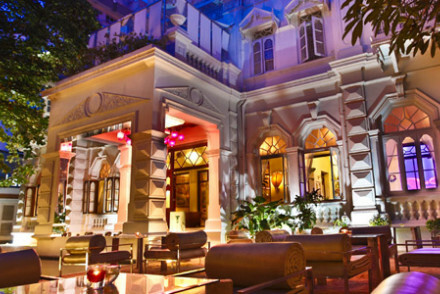 An historic mansion, turned boutique hotel in the exclusive Cinnamon Gardens area. With individual rooms offering plunge pools, private balconies, luxurious furnishings and wonderful bathrooms. The hotels restaurant and bar are popular spots with locals and the gardens are charming. Superb! Restrictions on children - Whislt children are welcome in the hotel the pool is adults only. Great walks - Colombo's long promenade is great for walking off big dinners. Sights nearby - The National Museum is a must visit.